Mr Tsui is Managing Director of T.K. Tsui & Associates Limited. He is an Authorized Person, Registered Structural Engineer and Geotechnical Engineer, with over 50 years of experience in the construction field. 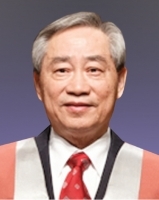 He was the first Joint Chairman of The Institution of Structural Engineers Hong Kong Branch and The Hong Kong Institution of Engineers Structural Division. He was also Director of Pok Oi Hospital and Yan Oi Tong and now a member of the Governing Committee of the PolyU Foundation and Senior Advisor to the President, bringing his expert advice to various campus development projects.